The other morning I was rueing the notion that it's hard, sometimes, to fit my desired life in around my actual life. 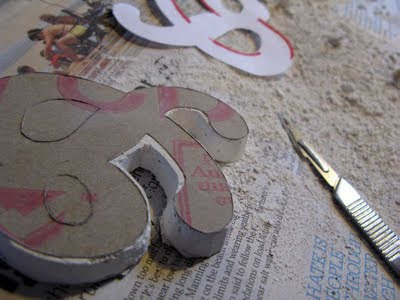 'Choose a new font and carve some new letters' has been on my to-do list since the beginning of the year, and every now and then I'll have thought 'I wish I had time to DO that!' So the other morning, I gave myself a mental shake. "Stop that at once! You've got twenty minutes before you have to get in the shower! Do it NOW!" Plaster dust all over my house again, and it feels GOOD! Oooh! Today I've had a lovely writeup over on www.stephbond.com. What a wonderful surprise! Thanks Steph! 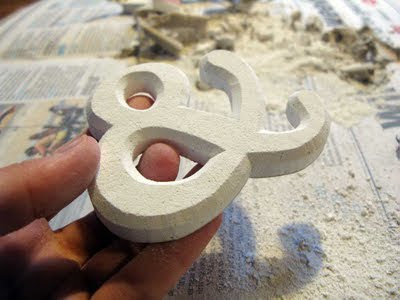 Many months ago I filled a custom order for the words 'bright idea' hand-carved in plaster. I was delighted, as I love custom orders, and I especially love sending them off to the other side of the world - in this case to New York. The notion that my fragile little letters can be whisked safely in their nest of bubble wrap to a destination thousands of kilometres away... it just makes me very happy! 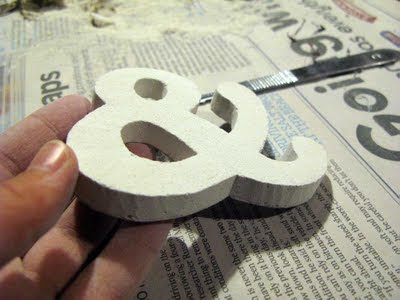 Anyway, this customer had told me that she wanted the letters for a photoshoot, for the 'fall' (fall!) 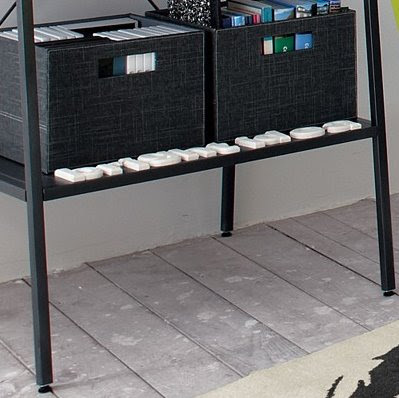 CB2 catalogue. I looked at their website... it looked like the US equivalent of a Freedom store. I then forgot all about them. Then, the other day, I heard a green tree frog 'breeeEEEP!-ing' in the garden. I thought 'you're a tad early my friend, for it is the middle of winter!' and then suddenly the notion of 'fall' and the CB2 catalogue jumped into my head. I rushed online to see if indeed my letters had made the cut, as it were. I clicked though the catalogue, reaching the last pages and, having not spotted my letters anywhere, was disappointed more than I expected to be. "So that's why you didn't leave me any feedback!" I thought. The next day I was at work, admiring the spacious real estate of my enormous Mac, when it occurred to me to use the big screen to have another look. After all, how much could I have seen on my 14 incher at home? Then, behold! Okay, angled and almost illegible, but THERE! Hoorah! Recently I was invited to dinner by friends. The venue was a secret, and the instructions were to 'wear good stuff'. I got everything together: my shoes, stockings, my bag, my dress and my jacket, and C and I took off for his place, where we'd change later in the day. At around 4.00 I had a sudden realisation... I'd left the dress sitting on my table at home. C and I live about an hour apart, and the dinner was an early one, so there was no time for me to rush home to grab the dress. There was only one thing to do - head to the local shopping centre. As I drove there I pondered on the unlikelihood of me being able to find something to wear, as it seemed several elements weren't in my favour. For starters, the local shopping centre contained exactly one unbranded dress shop. More worryingly, I'm a terrible shopper. I see something I like and it generally takes me a few weeks to commit to purchase, and as I so rarely see things I like, my wardrobe consists of lots of jeans and the one dress, currently draped gracefully on a table about 60 km away. And yet right now, I had one hour before the shop shut to find something to wear that night, and worse still - it has to be a dress or (gasp!) 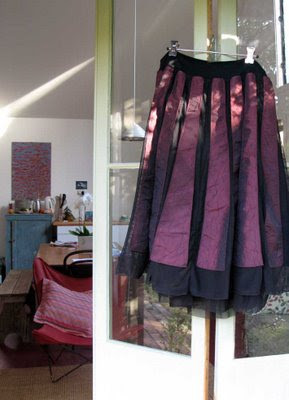 a skirt, to go with my black jacket. Now, I don't skirt up well, as a rule. That's why I don't have any. My legs always seem too short, my hips too wide, and my knees definitely need to be out of sight. I arrive at the One Dress Shop. I'm momentarily alarmed at the volume of embroidered PolarFleece within. This looks like the kind of shop that only ladies of a certain age and shape would go to. There was one of those ladies standing behind the counter. I went straight to her, and explained the predicament. She started to rummage on the racks, pulling out multitudes of black below-the-knee skirts with weird embellishments made from zips, and that kind of ornamental gathers-using-a-drawstring decoration that was fashionable five years ago. My heart sinks, so I take a quick look at the dress racks (AAAAAAH!) before committing to searching the sale racks with intent. See, that was the odd thing about this dress shop. Everything was hideously expensive. HIDEOUSLY. I found this skirt which was reduced to half price... it was $220. I grabbed a plain black shoestring nylon singlet ($70)to wear under my jacket and retreated to the dressing room. The skirt was... well, let's just say it was of a floaty chiffony patterned nature that I would have loved ten years ago, and it didn't quite go with the jacket. I thought 'well, it will just have to do' and took it to the counter. I think it was the sight of the price tag ($440 REDUCED! to $220!) which provoked me to have one last look at the racks. I'd already been around the shop twice, but desperation (and disgust at the notion of forking out so much cash for something I didn't really love) drove me to try again. Jammed between an over-beaded bias-cut dress ($560) and a houndstooth jacket ($800) I found something that almost made me cry with relief. I'd found a skirt, a skirt so 'me' that I knew at once that this skirt was about to save the day. What's more... there was only one... and it was in my size. It was a skirt made from soft black mesh, with these stripes of red all around it- layers of the mesh and the goodness of the satiny crushed dark red stripes adding up to something that gave off an air of circus tent, or hot-air balloon - I didn't care, because it was wonderful! Oh wondrous circus-tent skirt, I know we will have many good years together! PS. The dinner was lovely, the company excellent. The fact that two of my friends turned up in jeans a minor blot!